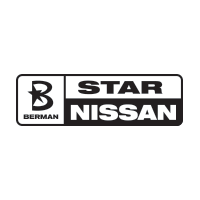 At Star Nissan we want to make sure that your vehicle is always taken care of. That means that when you buy a vehicle from us, you get unlimited complimentary car washes. No need to struggle with washing your car on your own, just visti our service center located in located at 5757 W Touhy Ave and we will take care of the rest! Our courtesy car washes will not only keep your car looking brand new, but will also save you time and money! Over time your car gets covered in all sorts of materials such as dust, dirt and bugs. As this dirt builds up it will wear down your paint, which is why it is so important to wash your car at least once a week. Let one of our team members know you would like your courtesy car wash. We clean the exterior surfaces, windows, wheels and tires while you wait. Car washes available between 9:30am-6:30pm (subject to weather).